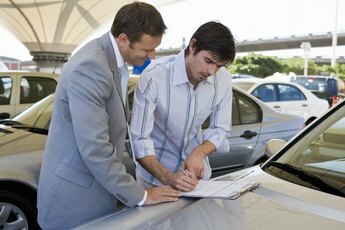 Small used car sellers offer lease-to-own or rent-to-own programs to people who cannot qualify to purchase cars from dealers that have tougher requirements for credit history and employment. 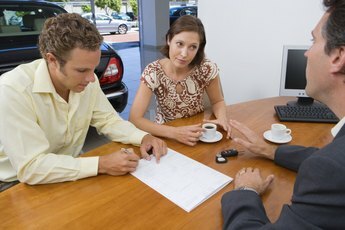 Lease-to-own agreements differ from the standard vehicle lease agreements offered by automobile dealers. Standard lease agreements require monthly rental payments to use a car that is owned by the dealer and, if the agreement includes a purchase option, you may choose to buy the car at the end of the lease period. The lease-to-own agreement requires you to purchase the car or lose your investment. With a lease-to-own program, individuals with less than perfect credit are given a chance to make payments on a car until it is completely paid off. The dealer will hold the title until the final payment is made. Used car dealers market the lease-to-own offer to buyers with financial challenges, such as those with bad credit or no credit. The dealer keeps the title and owns the vehicle for the life of the agreement. Buyers are promised low biweekly or monthly payments. The dealers require no down payment or a very low down payment. Buyers do not pay finance charges, property taxes or fees during the agreement period. 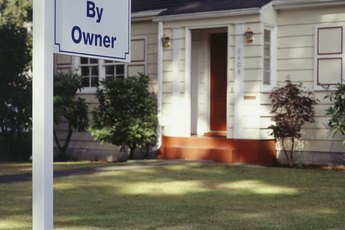 Lease-to-own agreements require buyers to make lease payments over a two-year period. After successful completion of the two-year lease period, the buyer receives the vehicle title and is owner of the car. The lease agreement usually includes strict requirements for on-time payments. One late payment can result in cancellation of the purchase portion of the agreement and loss of the payments you already have made. Lease-to-own dealers often describe their offer as a better deal for buyers than the high finance rates charged by “buy-here-pay-here” used car lots, which also target credit-challenged buyers. However, lease-to-own car dealers often also are buy-here-pay-here lots and present many of the same dangers for consumers. Both types of dealers use immobilizer devices to prevent you from driving the car if your payment is late. 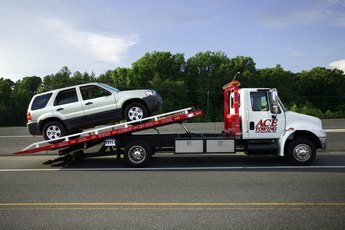 The buyer must pay fees for towing and to turn off the immobilizer device before retrieving the car. 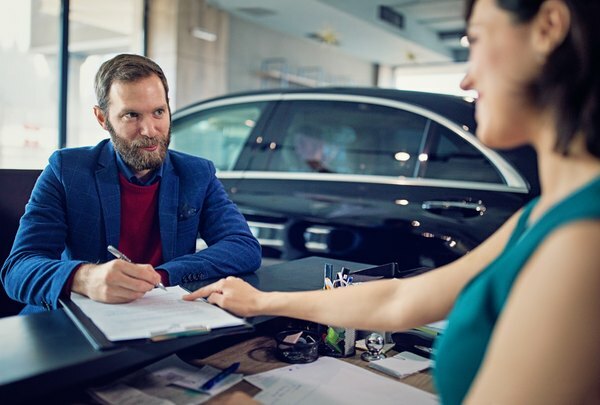 If your lease-to-own agreement is canceled, the dealer might allow you to make another down payment and enter into a new two-year agreement to buy the same car. Buyers of rent-to-own vehicles usually overpay for the used vehicles they purchase. Payments often are higher than advertised, and the fees can add up, causing high default rates. Frequent repossessions allow dealers to resell cars many times. These dealers do not report your payments to credit agencies, so the purchase does nothing to improve your credit rating or establish credit.